It’s no secret that the go-to identity provider for managed service providers (MSPs) has historically been Microsoft® Active Directory® (MAD), and MSPs haven’t really had much of a choice in the matter. When it came to electing an identity provider for their clients, MAD was practically unavoidable and irreplaceable for the past 20 years. One of the primary impacts the cloud is having on the IT industry, however, is greater freedom of choice for MSPs and their client organizations alike. Beyond expanding the resources and applications available for users to do their job, the cloud is pulling the identity provider from the core of the product stack back into the limelight for reexamination. How is the modern office shifting the identity provider for MSPs to the cloud? Datto’s 2018 Report found that 75% of MSPs are still offering break-fix services of some kind. To some extent, this makes sense when you realize how the traditional identity management path locks MSPs into keeping their clients on-prem with legacy infrastructure. It’s not exactly modern, agile, or innovative, but change rarely comes easy. Some of this hesitation to leave behind the break-fix business model can be attributed to MAD’s incompatibility with other platforms and with the cloud. Most IT networks have been based on Microsoft Windows®, and AD has been dominant as the standard to manage Windows-based networks. The challenge for MSPs today is the need to shift client infrastructures to the cloud and support non-Windows platforms is becoming ever more pressing. Organizations today are searching for cloud transformation specialists, driving demand for managed services in a new direction. A recent report from AppDirect found that, while 61% of SMBs are looking to use more cloud-based solutions, 73% need help understanding all of the options. Clearly, the cloud is shaking things up, and cloud-forward MSPs are looking to adjust their sails to the change in wind direction. For those organizations looking to offload their IT infrastructure, MSPs are their go-to advisors and partners in the quest to migrate to the cloud. The goal here for both clients and MSPs is fairly obvious: to become more efficient, more productive, and to transform their businesses for the modern age of Internet commerce. The identity provider lies at the heart of the organization, and as the core piece of an MSP’s product stack, it’s one of the most critical IT management components. For MSPs, not being able to integrate modern OS platforms (macOS® and Linux®), web applications, WiFi security, cloud infrastructure (AWS®, GCP™), virtual file storage (Google Drive™, Dropbox, Box), and networks across multiple locations into an organization’s IT plans just doesn’t make sense. For these reasons and more, MSPs are searching for a modern approach to the identity provider—one that is open, agile, and innovative. 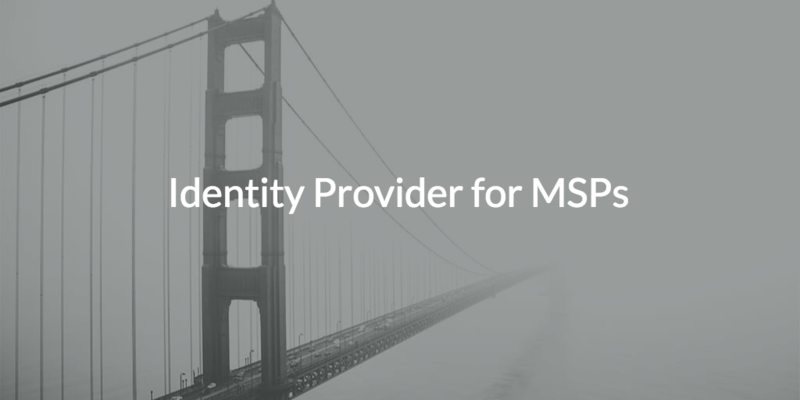 In short, the identity provider for MSPs is really a modern approach to cloud directory services. With 86% of MSPs now offering cloud services, the identity provider should work well with a variety of other solutions to make changes across all identities. These changes would then be federated to all on-prem and cloud-based resources, regardless of their protocol, provider, platform, or location. The modern solution that meets all of these needs is known as JumpCloud® Directory-as-a-Service®. 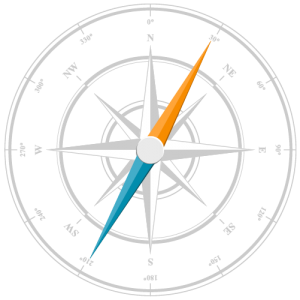 Directory-as-a-Service makes this possible as the central identity provider in the cloud, and by doing so, improves the operational efficiency of MSPs. With JumpCloud’s Multi-Tenant Portal, MSPs can now support a wider range and greater number of client environments, and manage them all from one central console. 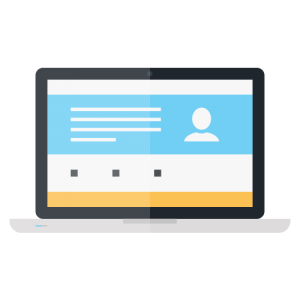 Want to hear more about a modern identity provider for MSPs? Take a look at the introduction video above, and read through the Partner Program page for some more details. Apply to be a JumpCloud Partner once you’re ready and a member of our Partner Support team will contact you with the next steps forward.